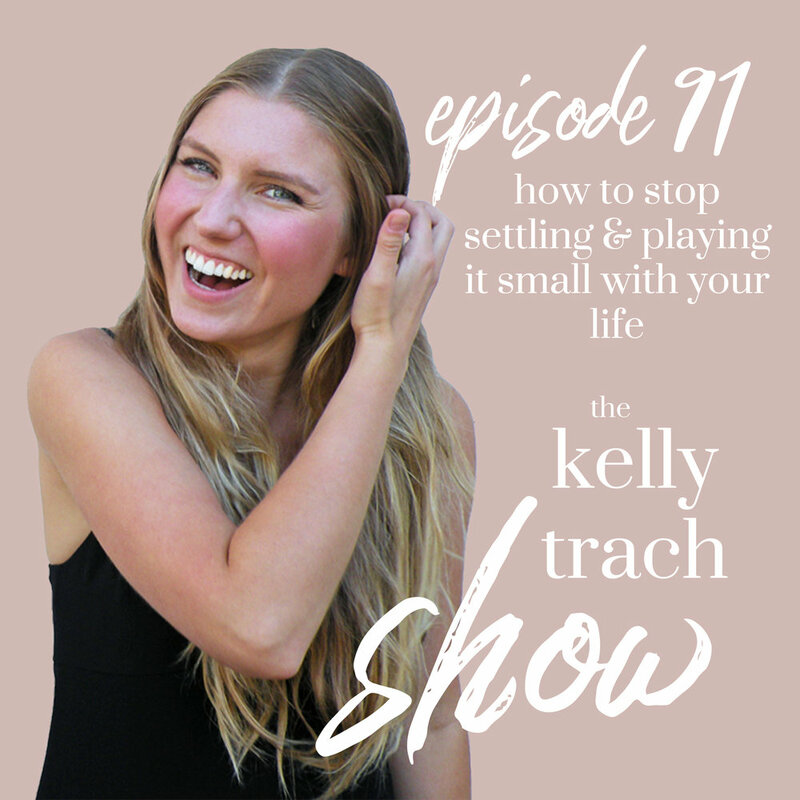 If you’re afraid that your ambitions have stagnated and that you’ve ended up settling with whatever ho-hum job you work at, it’s easy to feel down and even compelled to just roll with the hand you’ve been dealt. With this episode, I lay out an eight-step plan to help you out of whatever rut you’ve found yourself in and get you on the road to personal and professional greatness. In the following hour and fifteen minutes, I break down the mindset you need to open yourself up to possibilities (even the scary ones! ), how you can invest in your own growth, and some handy strategies for keeping these goals dead center in your sights. So put on this episode, go for a run, and get a double-dose of energy and wisdom. Growth vs. fixed mindset and taking the necessary risks. Go for what you really want, no excuses. Understand that anything can change. Possibility is a core value. Don’t slide down the slippery slope of settling. Get clear on what you’re settling on. Make it a habit to get out of your comfort zone. If you want a different life you gotta do different things and think different thoughts. Find someone that can see the possibility in you and go for it. Coaches are perfect for this. Am I playing it small? Monday is a great day to change your life. - Click here to take the 2-question survey and snag $50 off your next course! Podigy. Podigy is the company the edits and produces The Kelly Trach Show and I am forever grateful for them. If you are ready to take your podcast to the next level, get professional editing and finally delegate it out, then Podigy is your jam. I adore working with them because they are super on the ball and make this show sound like the 5-star podcast that it is. When you sign up with Podigy, mention “The Kelly Trach Show” to get 50% off your first month of editing - that’s up to $325 off!